RETRO KIMMER'S BLOG: WATCH THE FUTURE STARS OF HOCKEYTOWN! The Grand Rapids Griffins are set to take on the Manitoba Moose in the AHL's Central Division Semifinals. 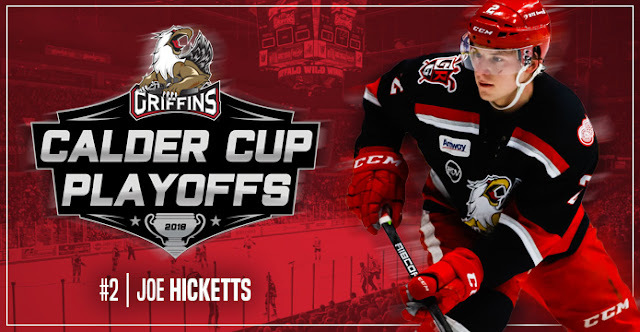 Come cheer on Jared Coreau, Evgeny Svechnikov and all your future Red Wings by catching a playoff game on Wed., Apr. 25 or Thu., Apr. 26 in Grand Rapids. The word that his Red Wings teammates use the most when talking about him is warrior. Defenseman Niklas Kronwall has fought through his chronic knee problems to remain an effective player and finished the 2017-18 season on a six-game point streak, the longest by any Red Wings player this season. DETROIT -- The word that his Red Wings teammates use the most when talking about him is warrior. 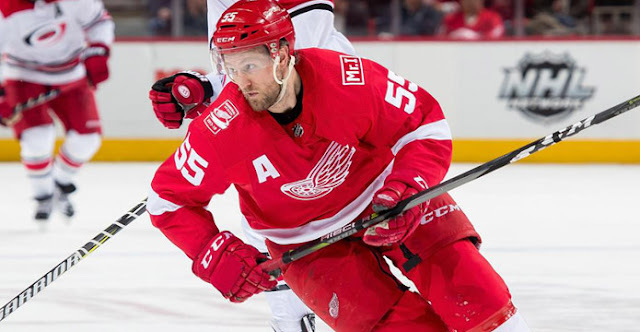 Defenseman Niklas Kronwall has fought through his chronic knee problems to remain an effective player. In the previous two seasons, Kronwall missed a combined 42 games. This past season he missed only the first three games before returning to play the final 79 games, averaging 18:31 per game. "I guess in a nutshell, just less load," Kronwall said the day the Wings cleaned out their lockers. "Didn't lift as much every week. Had one lift day a week instead of several, as I'd done in the past. Just less pounding on the joints on a weekly basis. Just doing alternative stuff. More stuff in the pool and things like that. That's what gave me the opportunity to play this year and I'm hoping it's gonna do the same thing for next year." Kronwall, 37, ended the season with a six-game point streak, the longest by any Red Wing this season. It tied for Kronwall's best in five years. "Last year it was a struggle to even watch him go through what he did, but that shows if you do the right things and you meet the right people during the summer and you work hard, you can come back stronger and healthier, and he did," captain Henrik Zetterberg said. "You saw it this year, not just the way he played the games he did, but how he was able to push himself, too and become stronger. I'm really happy to see it. Hopefully he'll have another good summer." On March 27 against Pittsburgh, Kronwall scored a goal for his 400th career point, the 104th defenseman in league history to reach that milestone.